THE POPE HITS IT OUTTA THE PARK! Oct. 1. 2015 By Jack Jodell. “First, it must be stated that a true “right of the environment” does exist, for two reasons. First, because we human beings are part of the environment. We live in communion with it, since the environment itself entails ethical limits which human activity must acknowledge and respect. Man, for all his remarkable gifts, which “are signs of a uniqueness which transcends the spheres of physics and biology” (Laudato Si’, 81), is at the same time a part of these spheres. He possesses a body shaped by physical, chemical and biological elements, and can only survive and develop if the ecological environment is favourable. Any harm done to the environment, therefore, is harm done to humanity. “The misuse and destruction of the environment are also accompanied by a relentless process of exclusion. In effect, a selfish and boundless thirst for power and material prosperity leads both to the misuse of available natural resources and to the exclusion of the weak and disadvantaged, either because they are differently abled (handicapped), or because they lack adequate information and technical expertise, or are incapable of decisive political action. Economic and social exclusion is a complete denial of human fraternity and a grave offence against human rights and the environment. The poorest are those who suffer most from such offences, for three serious reasons: they are cast off by society, forced to live off what is discarded and suffer unjustly from the abuse of the environment. They are part of today’s widespread and quietly growing ‘culture of waste’. “Our world demands of all government leaders a will which is effective, practical and constant, concrete steps and immediate measures for preserving and improving the natural environment and thus putting an end as quickly as possible to the phenomenon of social and economic exclusion, with its baneful consequences: human trafficking, the marketing of human organs and tissues, the sexual exploitation of boys and girls, slave labour, including prostitution, the drug and weapons trade, terrorism and international organised crime. Such is the magnitude of these situations and their toll in innocent lives, that we must avoid every temptation to fall into a declarationist nominalism which would assuage our consciences. We need to ensure that our institutions are truly effective in the struggle against all these scourges. The number and complexity of the problems require that we possess technical instruments of verification. But this involves two risks. We can rest content with the bureaucratic exercise of drawing up long lists of good proposals – goals, objectives and statistical indicators – or we can think that a single theoretical and aprioristic solution will provide an answer to all the challenges. It must never be forgotten that political and economic activity is only effective when it is understood as a prudential activity, guided by a perennial concept of justice and constantly conscious of the fact that, above and beyond our plans and programmes, we are dealing with real men and women who live, struggle and suffer, and are often forced to live in great poverty, deprived of all rights. 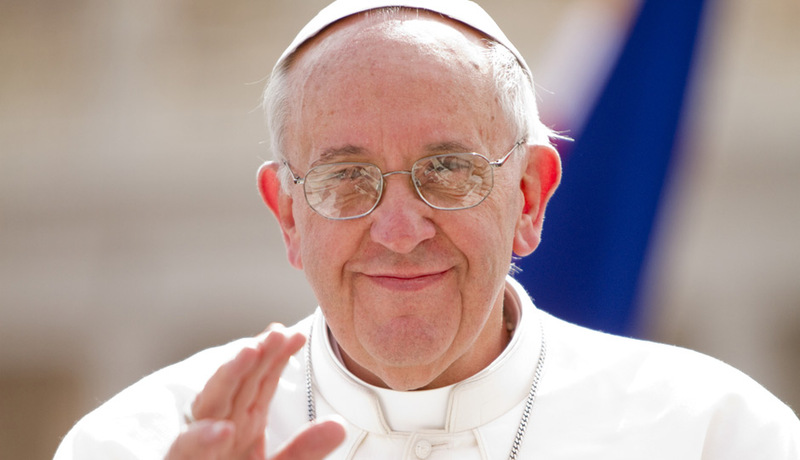 My faith in Pope Francis was renewed when I heard him address Congress a few short days ago. It was even strengthened, and grew exponentially, when I heard him address the whole world through the United Nations the very next day. This is a most remarkable man who has great intellect and reasoning power. He speaks truth and concern for the entire planet. This is a genuine man, who is not compromised in the least by greedy special interests or paranoid ideologues. Regardless of the flak certain very cynical and deluded far-right pundits have given him, his words and concerns ring true and should be listened to by all. He has proven himself to be a very astute observer of human activities and behavior, and his judgments and pronouncements in most areas are sound and should be followed. 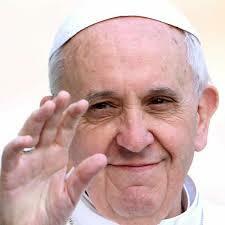 Long live Pope Francis, and may his influence inside and outside of the Catholic Church continue to grow! This entry was posted in religion - Pope Francis and tagged Catholic Church, cynical deluded far-right pundits, Justice, poverty, U.S. Congress, United Nations. Bookmark the permalink. 2 Responses to THE POPE HITS IT OUTTA THE PARK! 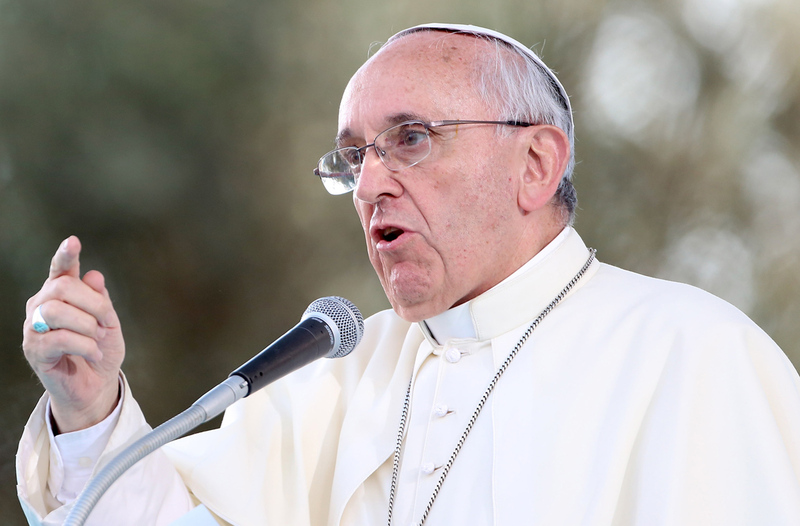 A book of the words of Pope Francis is much more significant to our lives than the bible…and easier to believe also. Very true, Jerry, as the Bible is often misconstrued and twisated by fools or liars for their own ends. 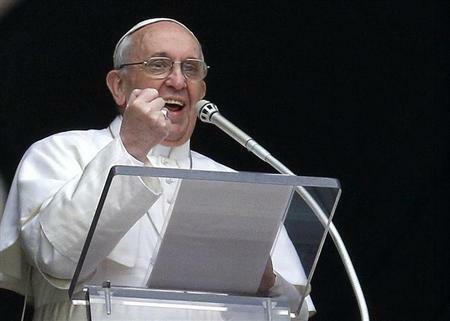 When Francis speaks, it’s usually much easier to understand and is generally less open to misconception.